Interventional cardiologists are increasingly being called upon to perform complex revascularization in patients who are deemed not to be candidates for surgical revascularization and, until recently, many of these patients would have only been offered medical management. Further, changing demographics have resulted in an increasingly elderly and frail population with diabetes and chronic kidney disease being referred for revascularization. Owing to the increasing prevalence of coronary artery calcification and the importance of achieving complete revascularization, advanced tools and techniques are required to safely revascularize this patient population. Coronary artery calcification is a marker for increased periprocedural complications and worse long-term outcomes in percutaneous intervention. Its presence may mandate advanced revascularization strategies to facilitate safe revascularization. Several studies have highlighted the importance of intracoronary imaging and there have been iterative changes and new devices that have been developed that can facilitate revascularization in the setting of significant coronary artery calcification. Successful coronary revascularization is increasingly dependent on the rational use of intraavascular imaging, specialized balloons and atherectomy to overcome complex coronary artery disease and calcification. A rational strategy for the safe use of advanced techniques and tools is presented here. David W. Allen declares no potential conflicts of interest. Prashant Kaul reports personal fees from Cardiovascular Systems, Inc. and Boston Scientific. •• Zhang J, Gao X, Kan J, Ge Z, Han L, Lu S, et al. Intravascular ultrasound-guided versus angiography-guided implantation of drug-eluting stent in all-comers: the ULTIMATE trial. J Am Coll Cardiol [Internet]. 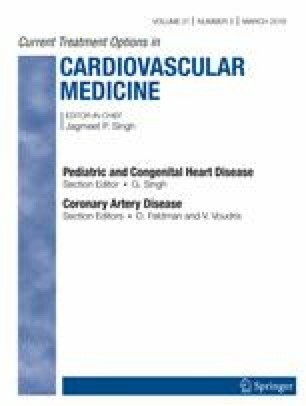 American College of Cardiology Foundation; 2018; Available from: https://linkinghub.elsevier.com/retrieve/pii/S073510971838433X. Randomized trial demonstrating 46% relative reduction in major adverse cardiovascular events with the use of intravascular ultrasound all-comers undergoing percutaneous coronary intervention. Bittl JA, Chew DP, Topol EJ, Kong DF, Califf RM. Meta-Analysis of randomized trials of percutaneous transluminal coronary angioplasty versus atherectomy, cutting balloon atherotomy, or laser angioplasty. J Am Coll Cardiol [Internet]. 2004 [cited 2018 Nov 3];43:936–42. Available from: http://www.ncbi.nlm.nih.gov/pubmed/15028347. • Abdel-Wahab M, Toelg R, Byrne RA, Geist V, El-Mawardy M, Allali A, et al. High-speed rotational atherectomy versus modified balloons prior to drug-eluting stent implantation in severely calcified coronary lesions. Circ Cardiovasc Interv [Internet]. 2018;11:1–12. Available from: https://www.ahajournals.org/doi/10.1161/CIRCINTERVENTIONS.118.007415 Randomized trial of cutting/scoring balloon or rotational atherectomy. Higher procedural success with atherectomy, but no difference in late lumen loss or clinical outcomes at 9 months post procedure. Megaly M, Sandoval Y, Lillyblad MP, Brilakis ES. Aminophylline for preventing bradyarrhythmias during orbital or rotational atherectomy of the right coronary artery. J Invasive Cardiol [Internet]. 2018 [cited 2018 Nov 3];30:186–9. Available from: http://www.ncbi.nlm.nih.gov/pubmed/29440624.